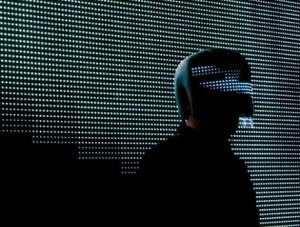 From the end of 90’s strangly someone we talked about this week has step foot on the web scene again: Squarepusher. Forever a strange feeling will stay attached to his name as we’ve experience one of the worst gig ever by Squarepusher a few years ago in Paris. So it is more curious than touched or happy that we listen to the latest Squarepusher video. Stunning video, interesting song, but still not much emotion in a cold electro world, where we seeem to go from one mood to another without getting a chance to grap the essence of things. “Dark Steering” part of a Squarepusher’s new album Ufabulum due to be released May 1 leave us with one question: How does Squarepusher understand his own action ?